A young Nigerian Matthew Ibadin sets out to discover the few remaining secrets in our world today in photography. Matthew Ibadin (a.k.a. Mattson), the Ace photographer is no doubt an artist with a difference based on his passion for photography and his widely travel tours around Europe. 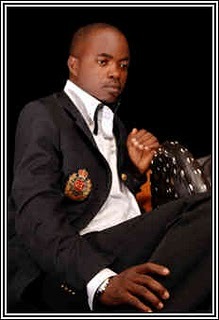 He is the Chief Executive Officer of Mattson Creation, a popular multi-million photography studio in Lekki, Lagos. he made history as the first photographer to start motion pictures at both University of Lagos (Unilag) and Yaba College of Technology (YABATECH). Although a graduate of Political Science from University of Lagos, Mattson has been into photography for 14 years. 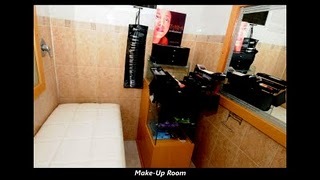 He has built a complete ultra-modern photo clinic which is first of its kind in the country with a state-of-the-art equipment with wardrobe assistance, make-up and training rooms for auditioning models, for cat-walk with just a starting capital of 13 thousand Naira to purchase an analogue camera. Mattson’s work has been published in numerous Magazines in Nigeria both as a contributor and as his biographic article. He has since organized various aesthetic photography exhibitions across the country and has acquired other professional photographic training in various training institutions in America and Europe. How did your photography started? 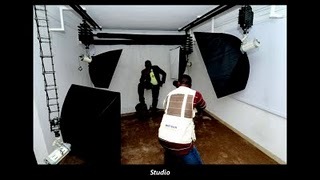 My studio/ photography started about 14 years ago at the University of Lagos(Unilag) precisely. I started with N5, 000 which I bought an analogue camera with. Then I just found myself taking motion pictures those days and from there I was given a place in Unilag by the school authority because of my hard work by then the Vice chancellor Professor Omotola may his perfect soul rest in peace. And from there I moved to Adeniran Ogunsanya in Surulere I spent almost 7 years there before I moved to Island. And I’ve been on Island for the past 7 years, its something really good. As you can see my studio today, it’s the first cotemporary studio in West Africa. It’s a multi-million naira studio. It is where everyone just wants to be. It is self driven, it is what I love to do, I love photography. Photography made me what I am today. When I was growing up, I told myself I want to do a business, to render a service that the poor, the average and the rich will need it and that's my passion. What impressed me most is, after taking the billionaire pictures and after the payment they tell me, “thank you”, “thank you for that job”. You know seeing my job in peoples house, In Park View, Banana Island, VI, Abuja just to name a few. When I see my job on their wall it makes me to have a sense of belonging. This is just the beginning, we have not even started. I'm in Lekki Phase 1 and by God's grace, I want to have something on VI – a photo home, a photo recreation center. And I intend to go to Abuja to have a real national portrait gallery like the one you have in London. I want use photography to rebrand Nigeria. I want to use photography to attract foreign investors because I don't have another country and that is the continuity of the policy of governance we have in Nigeria. Using photography to develop culture and tourism. How do you rate your studio? I will rate my studio, AA studio; its a studio to be. There is no studio like this in the country. If there is any other name I can use to qualify it, I can call it, “AA super studio” where you have state-of-the-art equipments, director of photography, in-house makeup room and makeup artist with wardrobe assistance. This is what you can find in Manhattan, New York in United States. That is how I will describe my studio. And it's a place where you can also train as a photographer, buy your photo because we have an in-house photo gallery/ lounge. Future of photography in Nigeria? The future is bright if people like us begin to invest money with symposiums and lectures on photography then the industry will be revived. The opportunity in photography has never been touched in Nigeria because it is a very lucrative business. If somebody like Ali Baba can rebrand the comedy industry I think I can do better. That is what I want to do and if I don't achieve it then I won't rest. My dream is that I want us to have photographic institution in Nigeria. I want billionaires instead of saying, “I want my son/ daughter to be a lawyer”, and I want them to say, “I want my daughter / son to be a photographer”. But thank God today people are resigning from banks to train as a photographer in our photo academy and this is only possible because of the level of achievement I have built in this industry. Secondly, we need to pass a bill to the National Assembly on photographer intellectual property can be protected. My friend in United States are billionaires in the industry with choppers/ Helicopters with which they use for coverage. But in Nigeria, how many of us can live on Island with photography? Just because the right of usage of our products are not protected. Advice for those taking up photography as a career? Those taking photography as a career, the earlier the better. 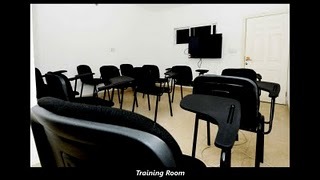 We have an academy with incentives where serious people are trained on photography. Even the state government should realize the best way to impact people is to give them intellectual training and not buying them okada. Thats is not empowerment. So they can come over so we can train some of the youths in their neighborhoods so they can be empowered with professional photography skills. And to those thinking of dropping photography for other fields, they should rethink. They can come to Mattson creations and see what I have created in the industry.